Originally published: New York: Dutton Children's Books. 'Harper Lee has a worthy successor. Wolk is a big new talent' - The TimesCrow has lived her whole life on a tiny, starkly beautiful island. Her only companions are Osh, the man who rescued her from a washed-up skiff as a baby and raised her, and Miss Maggie, their neighbour across the sandbar. But it is only when a mysterious fire appears across the water that an unspoken question of her own history forms in Crow's heart, and an unstoppable chain of events is triggered. Crow sets out to find her lost identity - and, ultimately, to learn what it means to be a family. 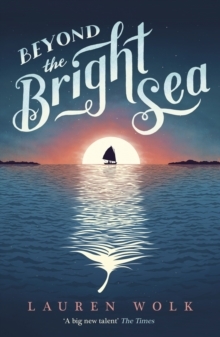 Vivid and heartfelt, Beyond the Bright Sea is a gorgeously crafted, gripping tale of buried treasure and belonging.